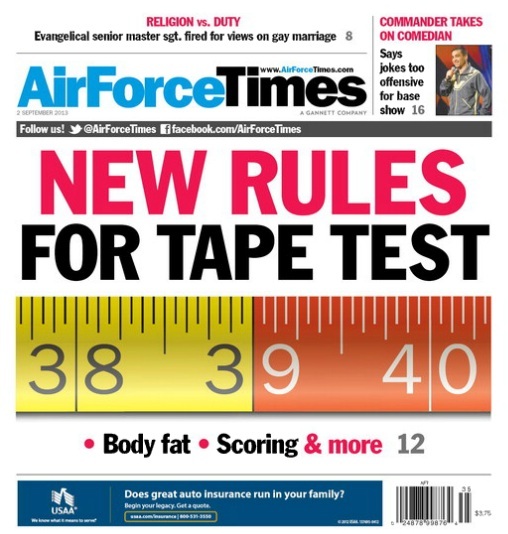 Busting tape will no longer mean an automatic failure for airmen who pass the rest of the PT test, but if you think passing the Body Mass Index will be easier than passing the tape test, think again. In this week’s Air Force Times, we explain how BMI works and walk you through other changes to the PT test that will take effect on Oct. 1. In other news, the Air Force has made changes to the U-2 cabin after a study found U-2 pilots had more brain lesions than they should for their age and health. Read what causes the lesions and how the Air Force is combating them. For troops in Afghanistan, roadside bombs and mines are a constant threat, so explosive ordnance technicians train year-round to keep U.S. personnel safe. We tell you need to know about the threat of explosives in Afghanistan and the airmen tasked with finding them. Also this week, a wing commander at Dyess Air Force Base, Texas, has a detailed plan to respond to a zombie attack. Read what airmen would be tasked with doing if the dead came back to life. Meanwhile, the Air Force continues to train to fight living foes. Red Flag-Alaska 13-3 recently wrapped up, marking the first time that South Korean and Japanese forces trained together.